Margot is the author of a novel, Underground Fugue (Melville House, 2017), winner of the Edward Lewis Wallant Award for American Jewish fiction; a collection of short stories, The Pale of Settlement (University of Georgia Press, 2007), winner of the Flannery O’Connor Award for Short Fiction; and co-editor, with Nicole Walker, of Bending Genre (Bloomsbury Academic, 2013), a collection of essays on creative nonfiction. Margot holds a Ph.D. in English/Creative Writing from the University of Utah; an M.Phil. in international relations from Oxford University, where she was a Marshall Scholar; and an A. B. in History and Literature from Harvard University. Before turning to writing full time, she spent ten years with the management consulting firm McKinsey & Company, where she was a principal in the New York Office. 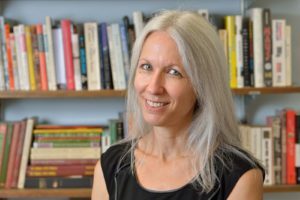 Margot is a professor of English and Creative Writing at Denison University, where she directs the Lisska Center for Scholarly Engagement. She was recognized in 2018 with the Bonar Family Mentorship and Teaching Award. She has held the Dominick Consolo Endowed Professorship (2013-18) and the Bosler Endowed Faculty Fellowship (2008-11). She also directs the Jonathan Reynolds Young Writers Workshop, a summer program in creative writing for high school students. Set against the backdrop of the tube bombings in London in 2005, Underground Fugue interweaves the stories of four characters who are dislocated by shock waves of personal loss, political violence, and, ultimately, betrayal. Ever since the term “creative nonfiction” first came into widespread use, memoirists and journalists, essayists and fiction writers have faced off over where the border between fact and fiction lies. This debate over ethics, however, has sidelined important questions of literary form. Bending Genre does not ask where the boundaries between genres should be drawn, but what happens when you push the line. Written for writers and students of creative writing, this collection brings together perspectives from today’s leading writers of creative nonfiction, including Michael Martone, Brenda Miller, Ander Monson, and David Shields. Each writer’s innovative essay probes our notions of genre and investigates how creative nonfiction is shaped, modeling the forms of writing being discussed. 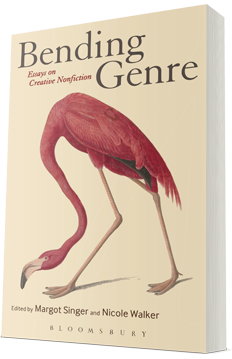 Like creative nonfiction itself, Bending Genre is an exciting hybrid that breaks new ground. In settings from Jerusalem to Manhattan, from the archaeological ruins of the Galilee to Kathmandu, The Pale of Settlement gives us characters who struggle to piece together the history and myths of their family’s past. This collection of linked short stories takes its title from the name of the western border region of the Russian empire within which Jews were required to live during the late eighteenth and nineteenth centuries. Susan, the stories’ main character, is a woman trapped in her own border region between youth and adulthood, familial roots in the Middle East and a typical American existence, the pull of Jewish tradition and the independence of a secular life. In “Helicopter Days,” Susan discovers that the Israeli cousin she grew up with has joined a mysterious cult. “Lila’s Story” braids Susan’s memories of her grandmother—a German Jew arriving in Palestine to escape the Holocaust—with the story of her own affair with a married man and an invented narrative of her grandmother’s life. In “Borderland,” while trekking in Nepal, Susan meets an Israeli soldier who carries with him the terrible burden of his experience as a border guard in the Gaza Strip. And in the haunting title story, bedtime tales are set against acts of terrorism and memories of a love beyond reach. 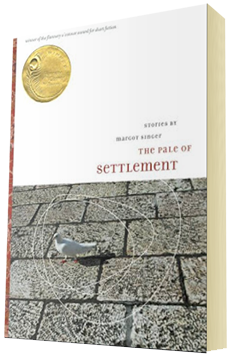 The stories of The Pale of Settlement explore the borderland between Israelis and American Jews, emigrants and expatriates, and vanished homelands and the dangerous world in which we live today. A program of the Hadassah-Brandeis Institute, HBI Conversations is a national innovative book and author series that brings together Jewish women and authors to meet and discuss books dealing with Jewish and gender issues. In PROVINCETOWN ARTS MAGAZINE, July 2014. In the WRITER’S CHRONICLE, March/April 2013. In the NEW OHIO REVIEW, Spring 2013. In THE NORMAL SCHOOL, Fall 2012. On NPR’s “HANUKKAH LIGHTS” program, December 2010. In NINTH LETTER (nominated for a Pushcart Prize), Winter 2010. In the KENYON REVIEW, Spring 2010. In Web Conjunctions, February 2009. In RIVER TEETH (nominated for a Pushcart Prize), Fall 2008. In THE SUN, October 2006. While writers know that narratives are deliberate, linguistic constructions, oftentimes they and their readership are challenged by questions of “truthiness,” more often than not, so that their work can be pigeonholed into the appropriate genre. It is at this critical juncture that Margot Singer and Nicole Walker have entered the debate with their new anthology, Bending Genre: Essays on Creative Nonfiction, in order to think beyond the ethical questions of truthiness that have plagued literary writing. These are very personal stories embedded in the public sphere–a deft braiding together of private life and the political and religious context in which desire unfolds. Margot Singer’s collection of interlinked tales is full of both promise and delivery: a first-rate debut. It is awe-inspiring to witness the nine converging storms in The Pale of Settlement. 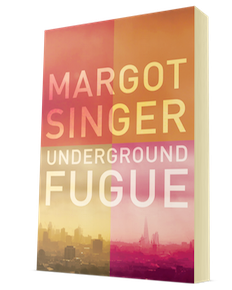 Readers yearning for the elemental forces to return to American fiction will applaud Margot Singer’s thundering debut. THE PALE OF SETTLEMENT is a stunning collection of interwoven narratives that delves deep into the human need for both belonging and moral integrity. Singer examines origins, cruelties and beliefs in the context of the nefarious nature of memory as a vehicle for obtaining truth. While some of Singer’s characters are literally digging for material shards that might prove ancient texts valid, the ashes of another character are by chance winds. Impermanence and timeless truth struggle in these pages, finding characters, language and form that are at once recognizable and original. The yearning for independence and the effort to sustain an identity pulsate throughout these masterful stories. A talented artist of the Jewish scene in Israel and the Diaspora, Singer is a new writer to savor. These short stories meander through time, back three generations, from a daughter to her mother to her mother’s mother, and back again. Susan, the American daughter of Israeli parents, struggles between cultures in the process of looking for herself–the same challenge undertaken by her mother as a young married emigrant in America and by her grandmother as a pioneer in the newly established State of Israel after the Holocaust. Singer explores each woman through her relationships, those that persist and those that fail, those that change and those that never even begin. Indeed, every story tells us a truth personal yet universal, relevant, and lasting. A winner of the Flannery O’Connor Award for Short Fiction, Singer writes clearly, succinctly, and effectively. The characters are believable, and the stories uplifting but realistic. Modern issues–terrorism and the second Lebanon war–intrude, but do not overwhelm, a testament to Singer’s skill and artistry.